Thanks for posting this! 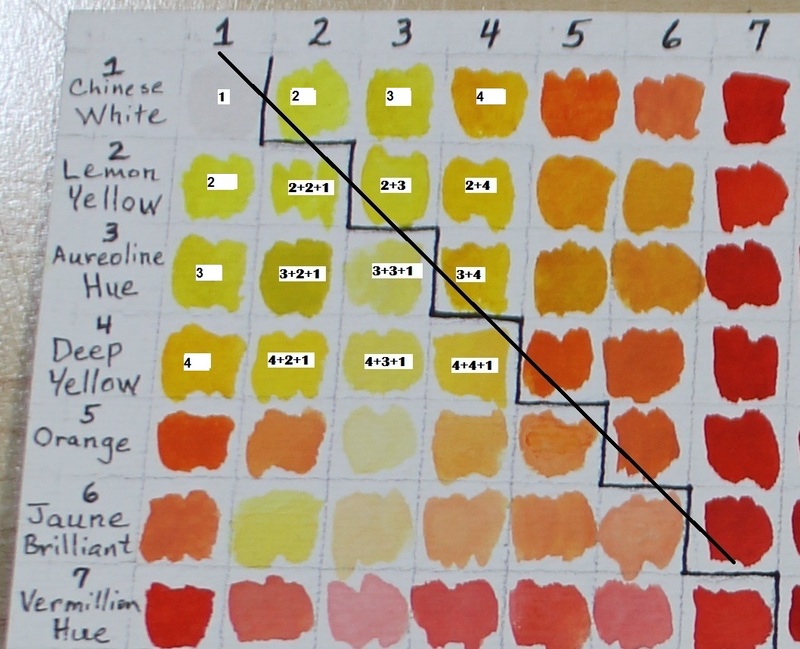 This helped me make my own color chart with my neocolor ii crayons. 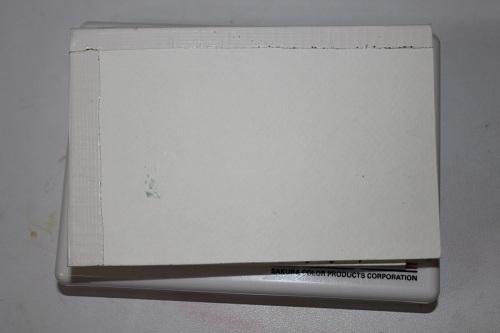 Next, my koi watercolor pocket field sketch box! This helped a lot! Thanks for posting! Wow that chart is really pretty! I’m currently attempting to make that same chart, but it’s not going well at all. 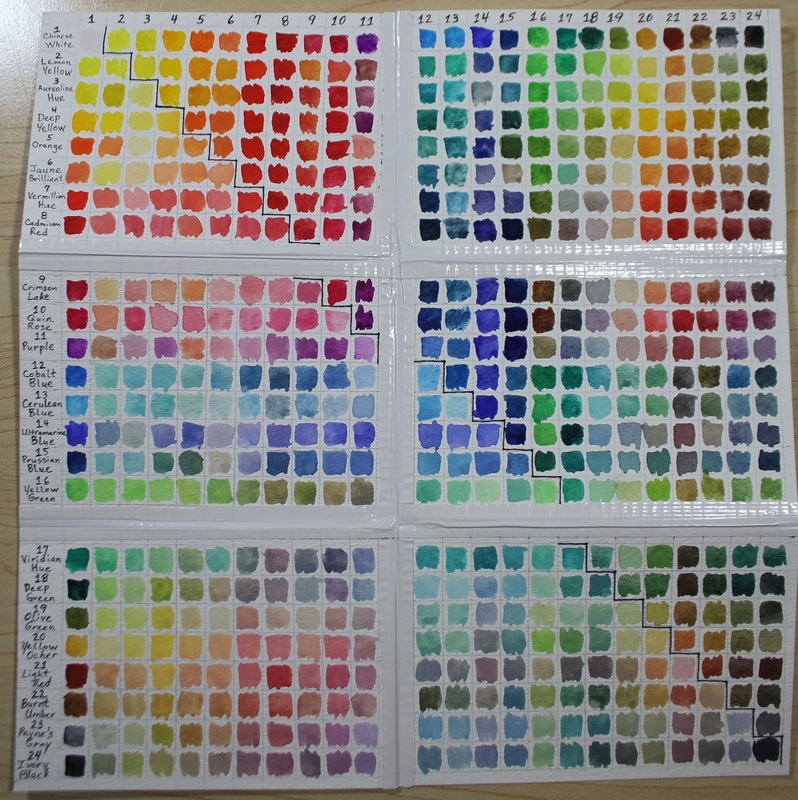 I’m using to same palette as you, but not only have most of my colors come out shockingly opaque, but so far, most of my yellows/orange combinations look extremely similar. I’m thinking it’s a problem with how much paint I’m using, but I’m a newborn bird to watercolors, so I can’t quite figure out how to control it. 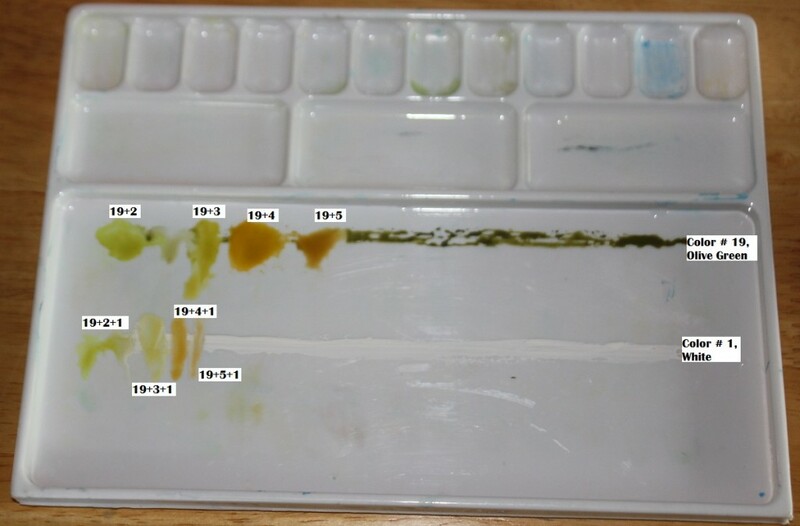 How much water did you use, and how much paint should I try and coax out (and how do I control it)? 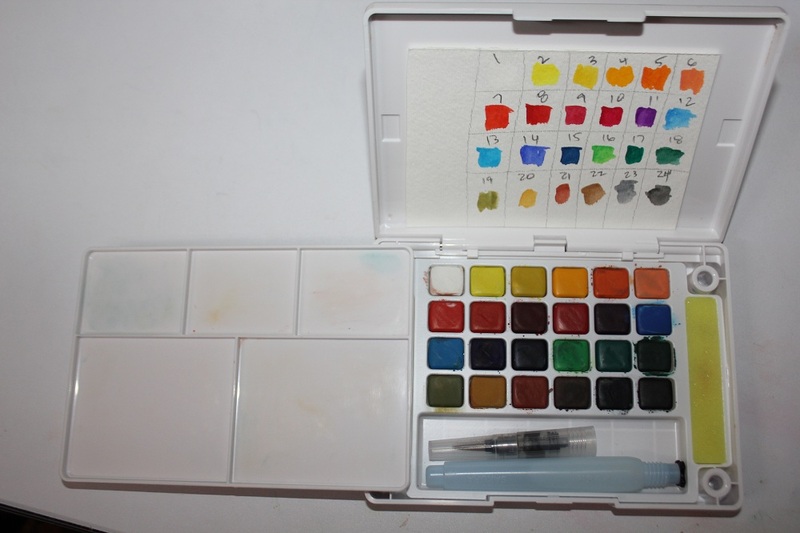 Also, did you use the waterbrush provided to make the chart? Thank you for the compliment on the chart. I did not use alot of water, very little, just enough to make the colors flow. And yes, I did use a waterbrush.